Living screens have had a recent surge in popularity, although they have been in use for thousands of years! They can be in hedge form or individual plants, but the main purpose is to provide privacy in the summer and light in the winter. Here we will list the best screening plants to use for privacy screens, along with detailed information about each of them. 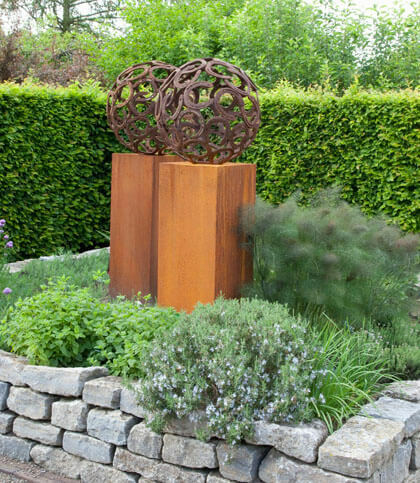 Screening and hedging are very similar concepts, with one notable difference: privacy hedges are dense, evergreen, and you cannot see through them, while screens provide privacy in summer and allow light through in the winter. 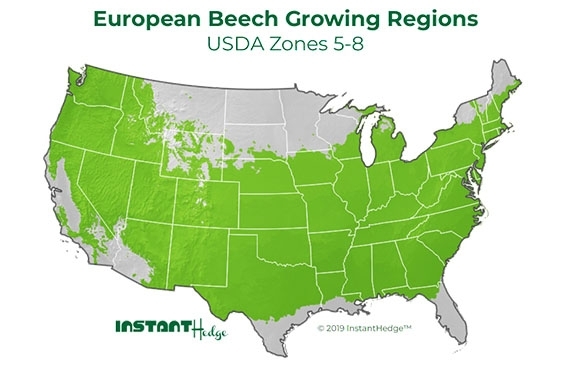 This could be from dropping their leaves or from being spaced further apart at planting. 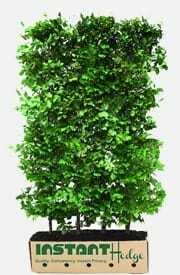 Deciduous European Beech provides privacy in summer yet allows light through in winter. 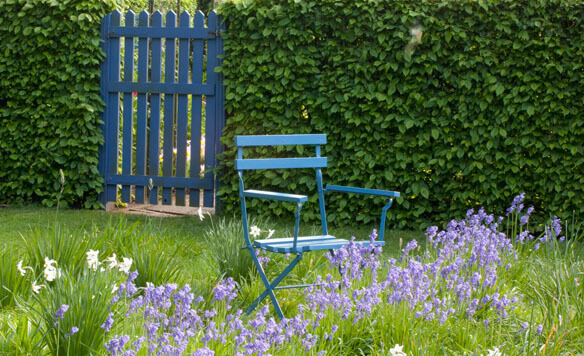 The best places for privacy screens are areas where privacy is desired during summer months but would suffer from lack of light in the winter if a privacy hedge was used. A great example would be a typical suburban backyard space: heavily used in the warmer months for outdoor entertaining, perhaps with a swimming pool, making privacy and noise-blocking a must. In northern climates especially, where daylight hours in winter are scarce, getting as much light into the house as possible is vital during the colder months. Having a tall screen made of deciduous trees or shrubs is the perfect solution! It provides a lush, leafy backdrop for outdoor activities, giving privacy and reducing noise. When the leaves fall in winter, precious winter sunlight filters through beautifully. In summer, this beech hedge gives privacy. In winter, it allows precious light into the home. This patio is used only in spring, summer, and fall, when the beech hedge has leaves. 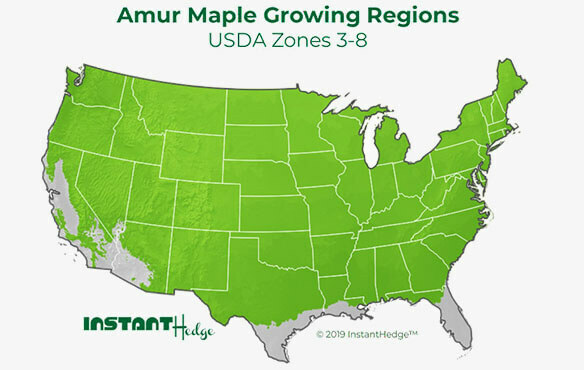 Flame Amur Maple has outstanding fall color in fiery reds, oranges, and yellows. It is very cold-hardy (down to -40ºF! 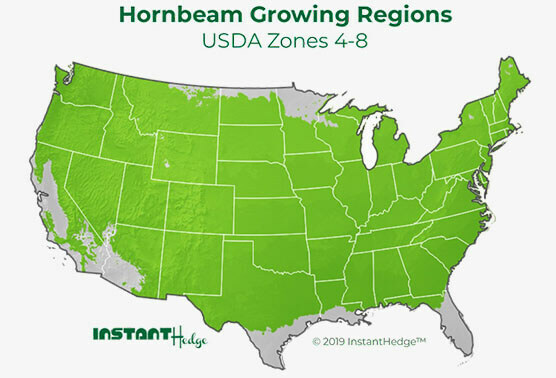 ), making especially well-suited to the Northern US. 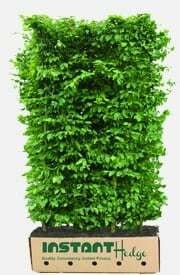 It can easily be grown as a screen thanks to its multi-stemmed natural habit and can be maintained by pruning once per year. It thrives in full sun to part shade, and it is quite drought-tolerant once established. 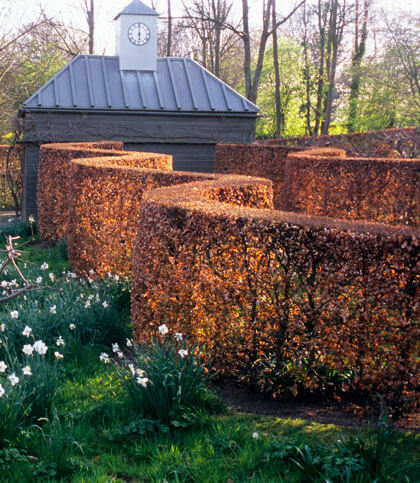 Beech hedging is extremely popular in Europe, and American gardens with a European style just aren’t complete without a beech hedge. Although deciduous, beech will hold their leaves through much of the winter months, adding a copper-colored texture to the winter landscape. They are very easy to maintain but will grow to a large size if desired. 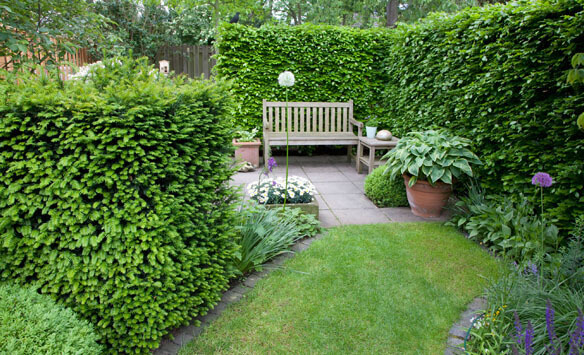 Dense branching provides optimum privacy in the summer. There are varieties with dark burgundy to purple foliage that are particularly stunning. 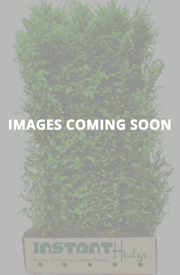 Hornbeam is a very popular choice for screening and hedging. 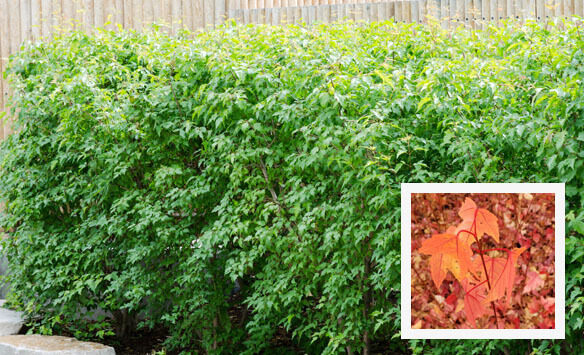 It has brilliant yellow fall color and holds its brown leaves through much of the winter to provide extra privacy. 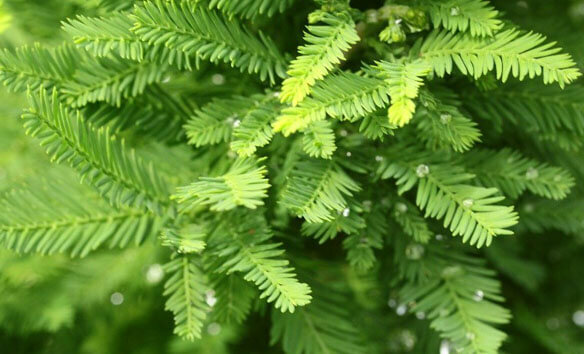 It is easy to grow and has wonderful resistance to many pests and diseases. 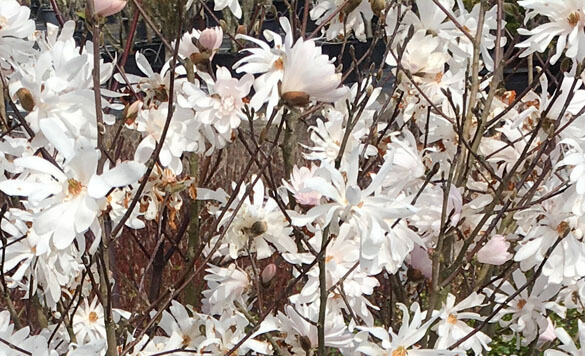 Royal Star Magnolia is a beautiful choice for those looking for a truly stunning and unique privacy screen! 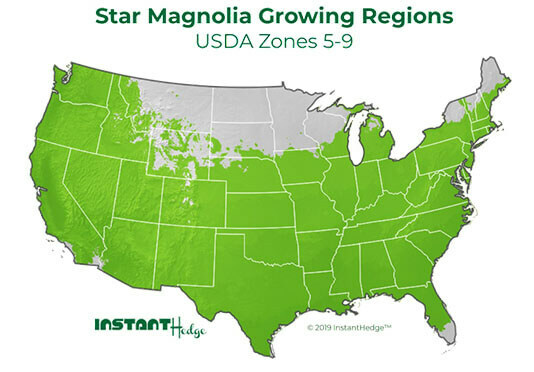 This magnolia is covered in fragrant, large, white flowers in late winter to early spring, followed by vibrant green foliage through the summer. 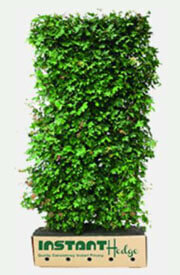 It is a compact grower, so it requires very little pruning. Prefers moist soil and full sun. Deer resistant. 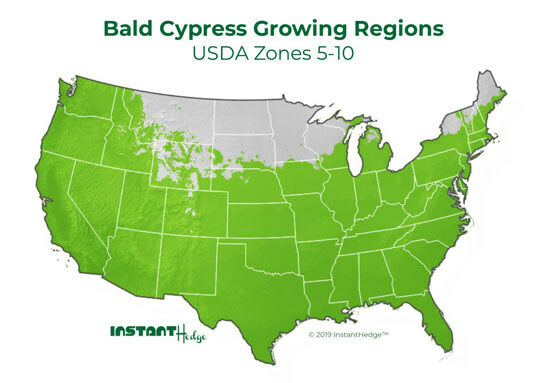 Bald cypress is a beautiful and unique choice for screening. It is particularly well-suited to wet, swampy environments and the humidity of the Southern United States. It has lush green foliage through the spring and summer that turns copper in autumn and then fully drops for the winter months. It grows quickly, so pruning will be required to keep at a small size. It is deer-resistant.